Plenty of churches in London have been deconsecrated, leaving the building still standing and used for other purposes. (Note: many serve a dual purpose, as a place of worship and a cafe, or museum. We've purposefully excluded ones which still function as churches from this list). 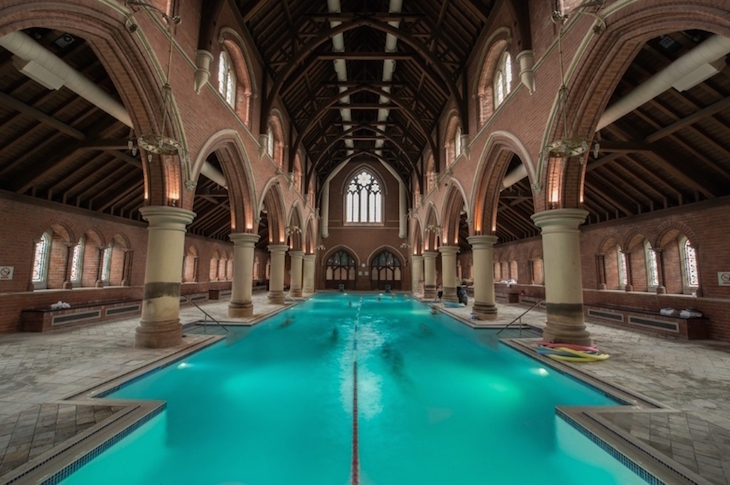 The swimming pool at the Virgin Active fitness centre in Woodford Green is in an old church — in fact, you can do lengths in what was once the nave. There's a shower at the altar, and the confession box has been converted into a sauna. Cool or crass? You decide. 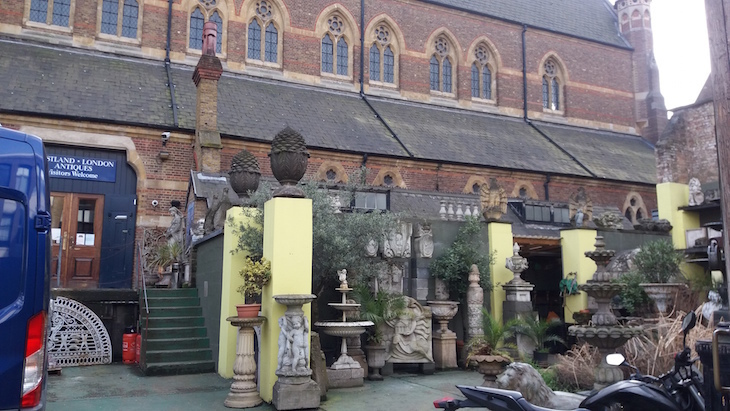 Not far from Londonist HQ, the former Church of St Michael and All Angels in Shoreditch has been converted into a warehouse selling antique fireplaces and chimneypieces, among other decorative stoneware items. Westland London has been in its current Grade II listed building since 1977. The church had closed in 1964, due to a declining local population. Carnivore-friendly Hoxton restaurant Meat Mission is named for the building it resides in — a former Christian Mission. 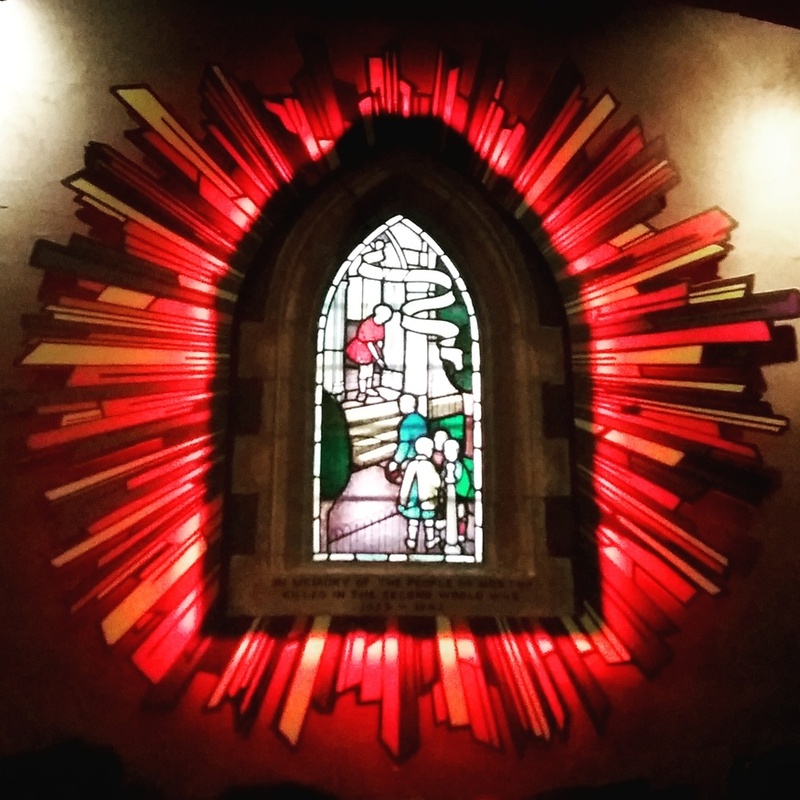 You wouldn't know it from the outside, but once you're through the doors, the stained glass window, church style pews and memorial plaques on the walls give the game away. The confessional booth is now a photo booth. The piece de resistance: the entire ceiling is a Gilbert and George-style demonic Last Supper blowout. 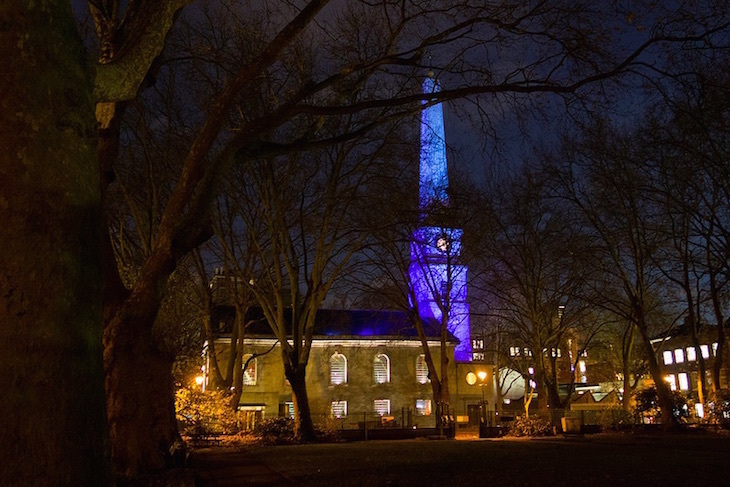 The funeral of Suffragette Emmeline Pankhurst was held at St John the Evangelist in 1928, but these days the venue is better known as concert venue St John's Smith Square. The church dates back to 1710, and functioned as a parish church for over 200 years, weathering fires, lightning strikes and other events, before being reduced to ruins on the final night of the Blitz. A group of locals clubbed together to buy the building and have it restored to the original 1710 designs by architect Thomas Archer, opening it as a concert venue as 1969. What many don't realise is that there's a restaurant in the former crypt, open for lunch and pre-performance dinners. Bonus fact: some of London's last remaining gas lamps are situated right outside the building. Now better known as a concert hall and the base of the Royal Philharmonic Orchestra, Cadogan Hall was once a New Christian Science Church with a 1,400-strong congregation. As worshippers declined, the congregation moved to another church and the building was disused, before being bought by the Cadogan Estate in 2000. Around this time, the Royal Philharmonic Orchestra was looking for a new home, and the concert hall opened in 2004, following some changes to the room's acoustic properties. While the venue largely sticks to choral and orchestral performances, it does branch out into the occasional pop concert, Frank Sinatra homage night and the like. The building at 59 Brick Lane, currently known as Brick Lane Mosque (or Brick Lane Jamme Masjid) used to be a church. Since being built in 1743, it has functioned as a Huguenot chapel, a Methodist church, a Jewish Synagogue, and has been a mosque since 1976, by which time much of the area's Jewish community had relocated to north London. Today, the building is Grade II* listed. The school next to the mosque used to function as the vestry when the building was the Neuve Eglise church. 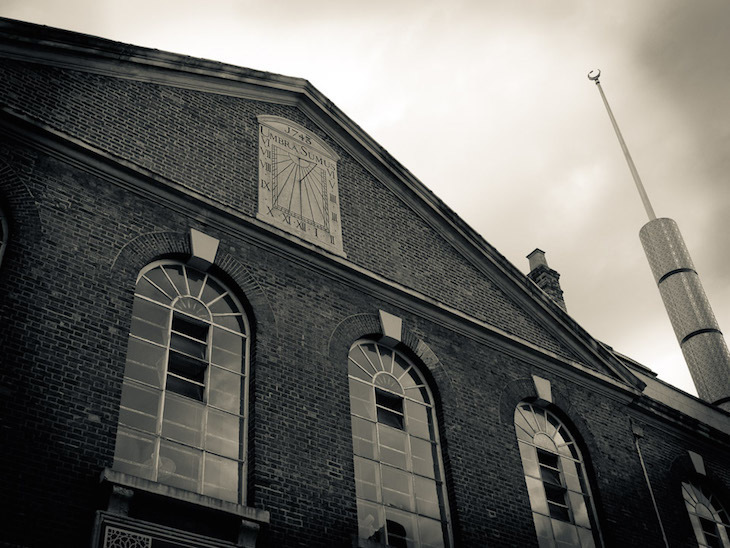 London Symphony Orchestra is based in a Grade I listed church on Old Street. 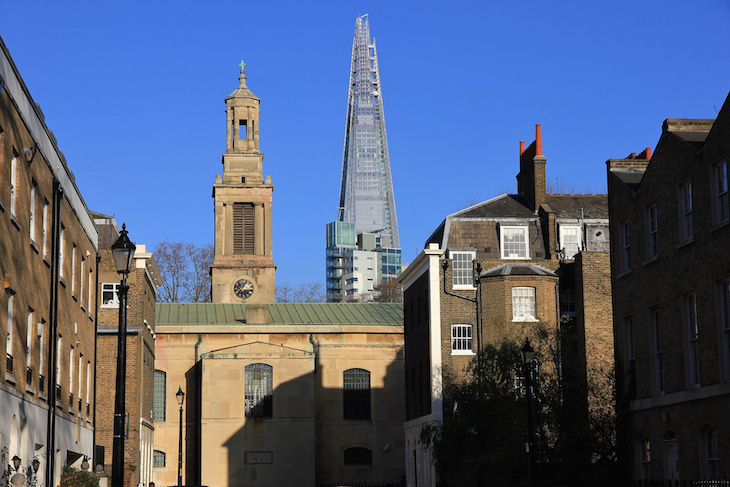 St Luke's was designed by Nicholas Hawksmoor around 1730, although today it's no longer used as a church. The orchestra rehearses and hold workshops and concerts within. The column-like spire is often illuminated at night — an odd, glowing beacon. 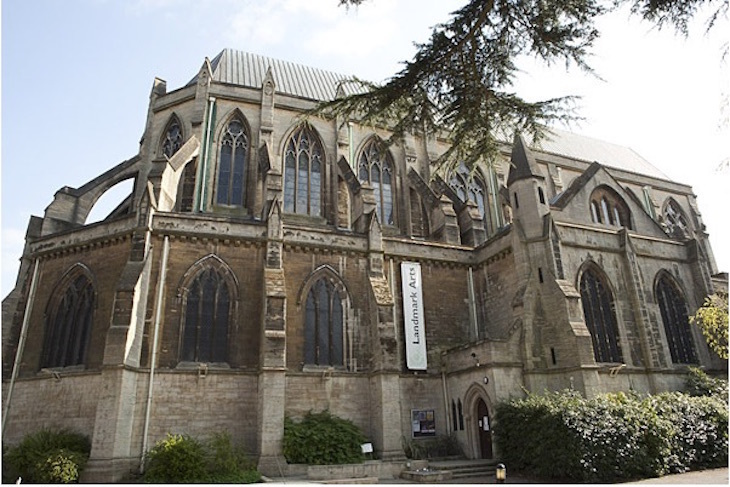 Teddington's impressive Landmark Arts Centre used to be the Church of St Alban the Martyr, built in 1889 and known as the 'Cathedral of Thames Valley' due to its impressive size. The pulpit, still in situ today, was unusually situated halfway down the nave, rather than at the front of the church. In the early 1970s, the church was neglected, and a campaign was launched to preserve its architecture and turn it into an arts centre. Today it hosts fairs, concerts and book clubs, and is available for hire. 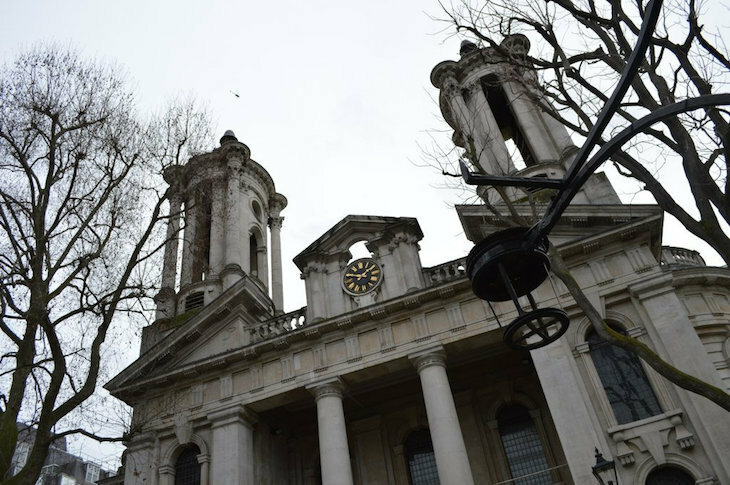 Other former churches which are now used as event spaces include St Stephen's in Hampstead, the Round Chapel Auditorium in Clapton, and One Marylebone (previously Holy Trinity Church), designed by Sir John Soane. 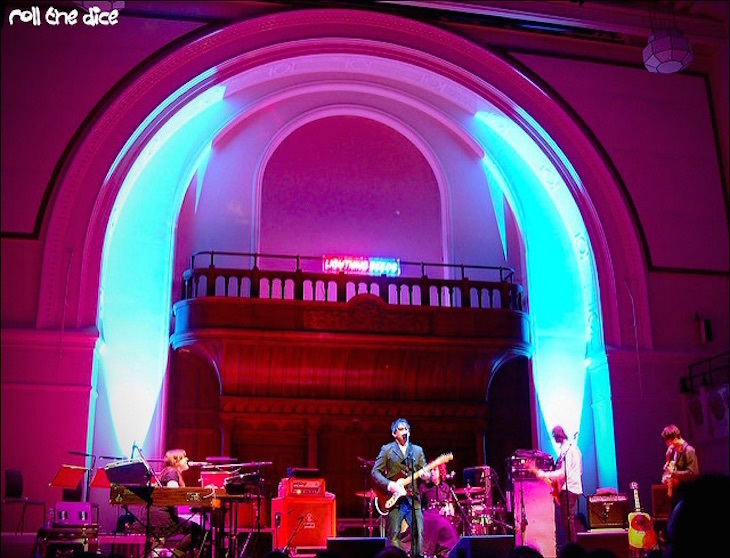 Another example of a former church being converted into a music venue (it's all in the acoustics, apparently), Henry Wood Hall was formerly known as Holy Trinity Church. It came to the attention of the London Philharmonic and Symphony Orchestras in the 1970s when they were looking for a new rehearsal space, at which point it had been sitting empty for 10 years. In 1972, the orchestras held a rehearsal to test out the new space — with the musicians wearing helmets to protect them from falling plaster. It was considered a success so funds were raised and plans produced to convert the church. But on the night before work was due to start, the building was gutted by fire, meaning that it had to be almost totally reconstructed. Work was complete in 1975 and the building has functioned as a rehearsal space and recording studio ever since. 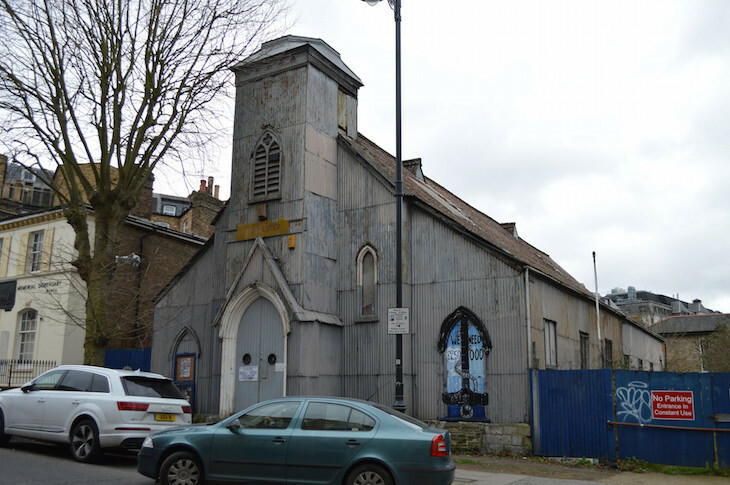 North London Sea Cadets now make use of the Tin Tabernacle in Kilburn, built in 1863 as St James's Episcopal Chapel, and used as such until the 1920s. It was one of many prefabricated iron churches, the like of which became popular in the 1850s. As well as providing a base for the Sea Cadets, the building hosts a regular folk club, and is available to hire. 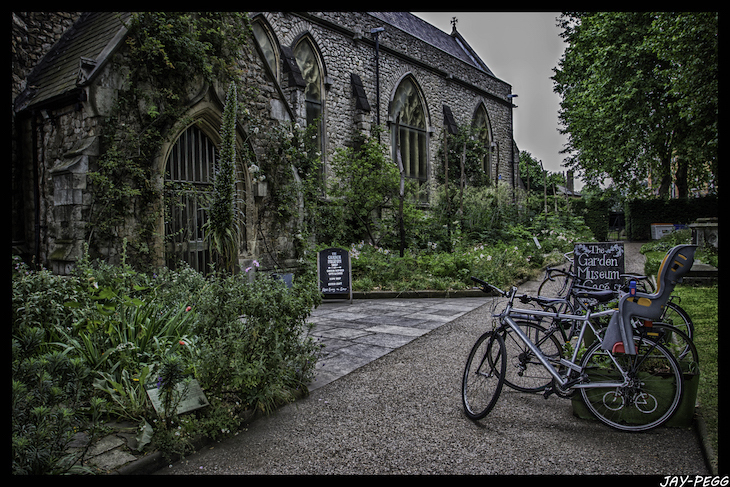 Lambeth's rather lovely Garden Museum inhabits a former church. In fact, the museum was set up in the 1970s in order to save the abandoned church building from demolition. A 17th century royal gardener father and son, both named John Tradescant, were buried in the churchyard, making it an apt location for a museum of garden history. The interior of the church was renovated in 2008, creating gallery space that hosts three exhibitions a year, and further work is due to be completed in 2017. 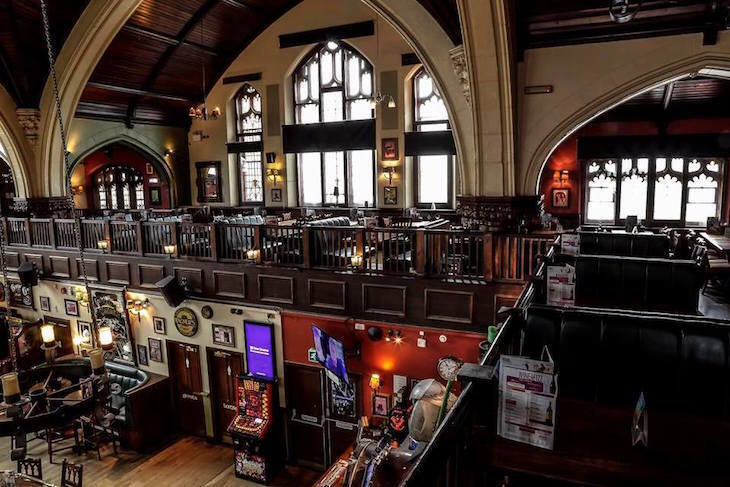 Irish bar chain O'Neill's Muswell Hill offering is colloquially known as 'the church pub' — no prizes for guessing why. It's a Grade II listed building, built in 1902, and still retains much of the original architecture both inside and outside. We wonder how many cuss words have been uttered in this once-holy space. See also: Unorthodox things to do in London's churches. Where have we missed? Let us know in the comments below.